Treated beams, rafters, and lathes. Premium metal roofing in a variety of colors. Comfortable access in and out of a home sheltered from the elements. Protection for your deck from water and sun damage. Featuring fully self-supported construction, the Ready Porch is a great fit on homes with straight rooflines or low ceiling clearance. 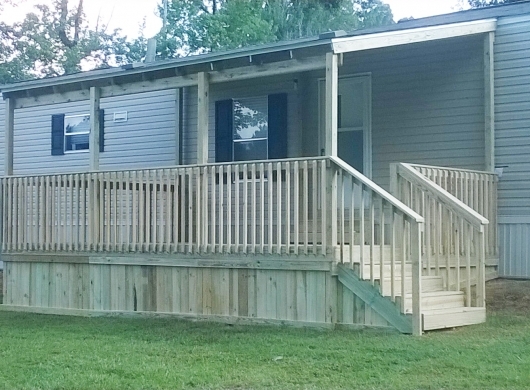 The metal roof allows for a low pitch, conserving valuable head room and preserving a spacious, open feel in our porch additions. Get in touch with the Ready Decks closest to your area for a fast, quality porch built by professional porch contractors.